The researchers initially reported positive results in a small study of 60 people. They then studied TAP in a larger group of veterans living with dementia. 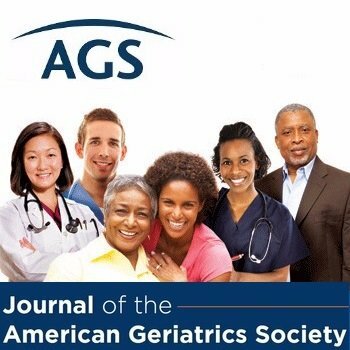 They reported their results in the Journal of the American Geriatrics Society. The researchers studied 160 veterans diagnosed with dementia and whose average age was 80. The study also included 160 of the veterans’ caregivers, who were mostly women around 72-years-old. The therapists showed the veterans and caregivers how to set up the activities and use them every day. They also provided written instructions for the caregivers. The instructions covered activity goals for the individual veteran and communication strategies for the caregiver. They also instructed caregivers on ways that they could modify the home environment to help the veteran participate in the activity. The therapists worked with the veterans to show the caregivers how to use activities. They had caregivers practice recommended communication strategies. They also provided on-going education to help caregivers understand dementia and its behavioral symptoms. During the last two sessions, caregivers learned how to simplify activities as the veterans’ abilities declined. They also learned strategies to make care challenges like bathing easier. A control group of caregivers received eight telephone sessions with a trained research team member who offered caregiver education about home safety and dementia. The researchers did not offer information about activities or behavioral symptoms to this group. After four months, nearly 70 percent of the veterans in the TAP group either eliminated or reduced the frequency and severity of their dementia-related behaviors. This is compared to 46 percent of the veterans in the control group. Also, caregivers in the TAP group reported that the veterans were less dependent on them as they performed their daily activities. Caregivers in the TAP group reported less distress due to the veterans’ behaviors, too. The researchers concluded that TAP offers immediate benefits to the veterans and their caregivers. This summary is from “Targeting Behavioral Symptoms and Functional Decline in Dementia: A Randomized Clinical Trial.” It appears online ahead of print in the Journal of the American Geriatrics Society. The study authors are Laura N. Gitlin, PhD; Paul Arthur, PhD, OTR/L; Catherine Piersol, PhD, OTR/L; Virginia Hessels, BA; Samuel S. Wu, PhD; Yunfeng Dai, MS; and William C. Mann, PhD, OTR. This entry was posted in Health in Aging, JAGS Research Summaries, Prevention and tagged behavior symptoms, caregiving, dementia, function, functioning by HIA Guest Blog. Bookmark the permalink. In addition to the treatment also needs more people with specialized training in rehabilitation such as Yoga, meditation. I agree with you that providing treatment in the comfort of the home is always a good idea. In my opinion, your suggestion is very helpful. Dementia can be very challenging for seniors as well as for their families. I think your suggestions might work perfectly for seniors in reducing the severity and symptoms of dementia. It surely is a good help. You are right! Family members should embrace together time with their elderly loved one. Having dinner with seniors together or watching an old movie can improve their mental health and wellbeing. Thanks for sharing. Nice read! Thanks for sharing the blog. You are spot on. Home based activities can help seniors live independently and comfortably at home, make them stronger, and encourage them to manage daily activities. I can understand that how challenging dementia can be for seniors and their families. And yes, I agree with you that treating dementia in the comfort of their home is a good and effective measure. Thanks for this amazing article.